One month until Townsville sounds magnificent! Some 28,000 visitor nights generated for Queensland and over 16,500 audience members! The AFCM is famed for its musicality, wintersun, artist accessibility and warm, friendly atmosphere. Featuring six world and 16 Australian premieres, the 2018 program features a musician line-up that’s the who’s who of the world’s best sound-makers, curated by new Artistic Director, UK pianist Kathryn Stott. Twenty-one artists will make their AFCM debut, and six of these will be performing in Australia for the very first time. And they are bringing their beloved instruments with them! 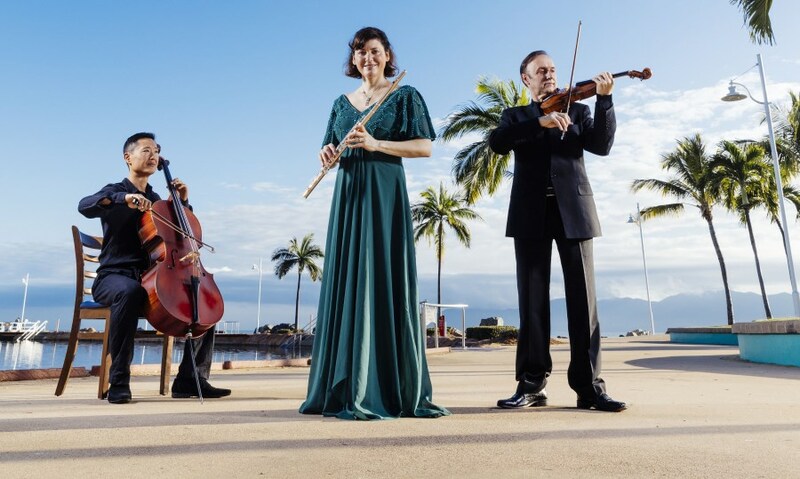 Flying into Townsville alongside their acclaimed masters will be an 1859 Jean-Baptise Vuillaume violin, a famed Stradivarius made in 1703, a Ritter Viola from 1877, a 1714 David Tecchler cello and the ancient Chinese Sheng, among many others. The 2018 Composer-in-Residence is Melbourne-based Julian Yu, with Kathryn Stott predicting that his Passacaglia performed by Philadelphia-based violinist Grace Clifford, who at just 20 years of age will be the youngest artist to ever attend the AFCM, will be a festival highlight. Quartet-in-Residence is the much loved and musically sublime Goldner String Quartet, a definite festival favourite. Another predicted highlight is the Cello Octet, created by Stott starring four visiting musicians and four young musicians from the Australian National Academy of Music in Melbourne. “The sound of a Cello Octet is just so glorious, and this seemed like the ideal way to make it happen. Having made a couple of visits to ANAM in the past including a residency, I was very keen to involve some students. My friends from Cellophony in the UK had some beautiful arrangements already prepared and my dear friend and amazing Cellist, Giovanni Sollima, has written stunning music for this combination. It will be a wonderful experience for the eight musicians and the audience alike!” said Stott. The 28th AFCM, will take place over 10 glorious days from Friday 27th July to Sunday 5th August, featuring 25 concerts and 5 special events, including extraordinary concerts on Orpheus Island and Magnetic Island, as well as collaborations, conversations and masterclasses performed by the world’s best chamber musicians in churches, theatres and gardens throughout the North Queensland city. The program includes six morning Concert Conversations, five Sunset Series events, seven Evening Series concerts and Winterschool masterclasses and performances. New to 2018 are the Cleveland Bay Supper Club Lounge Concert, the AFCM Up Late event titled The World Comes to Flinders, the Dovetailing Barber which is set to be a wonderful event at Mary Mackillop Church, and the AFCM After Party which will be held on Magnetic Island. Good tickets are still available for most concerts, including the Festival Opening Night concert, Governor’s Gala and the popular Concert Conversations series. Holiday packages are also on sale for just a few more days.